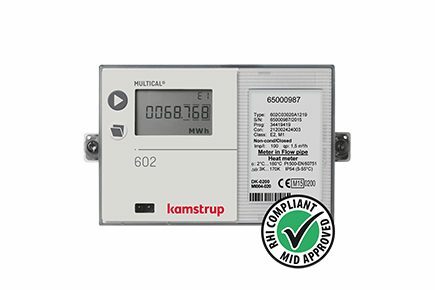 The Multical 602 is an RHI compliant, Mid Class 2 approved all-purpose energy calculator for heat and cooling together with almost any kind of pulsed flow sensors and with 2 or 4 wired temperature sensor pairs. Used together with Kamstrup ultrasonic flow sensor Ultraflow, even more advanced functions are available. On account of its pinpoint accuracy the meter registers precise consumption throughout the whole lifetime of the meter. The meter is maintenance-free and has a long lifetime which guarantees minimum yearly operating costs.